I’ve had a lot of good whisky over the past few weeks. 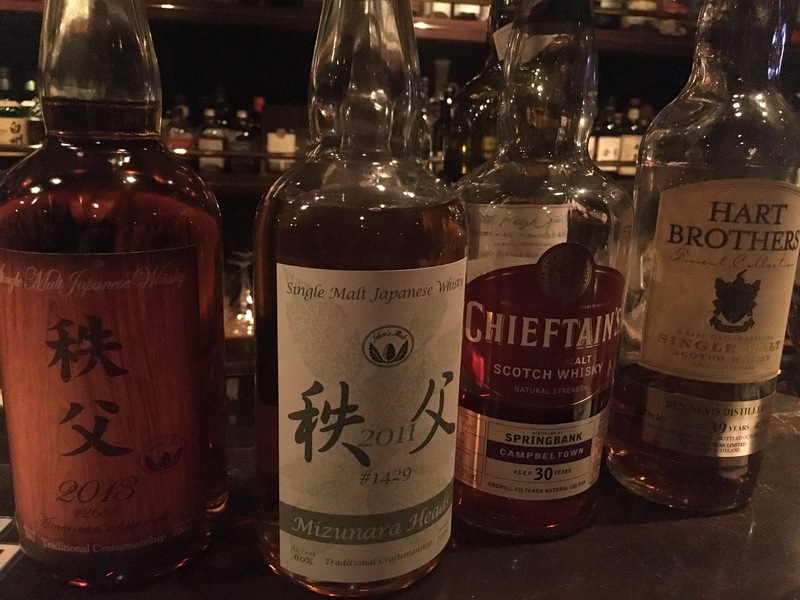 Ichiro’s Cask 2688 and the Chieftan’s Springbank were no exception – both wonderful drams. Marzipan, apricot jam, leather, formic acid, golden syrup. Pan cakes, vanilla, touch of brown sugar, wood, crushed ants, stewed apples. Old leather couches, boot polish, corn chips, salt and vinegar crisps, maple syrup, peanut brittle. Apples, cigar smoke, leather, beef stock, cloves, dry spice, over baked meringue, woody. Bananas, honey dew melon, Darjeeling tea, honey. Honey, salted butter, salt, toast, green herbs, orange cordial, kiwi fruit, mango. Intense yeast, malt, bananas, whipped cream. Malty, HUGE maple syrup, salted butter, pancakes, tobacco, brown bread.